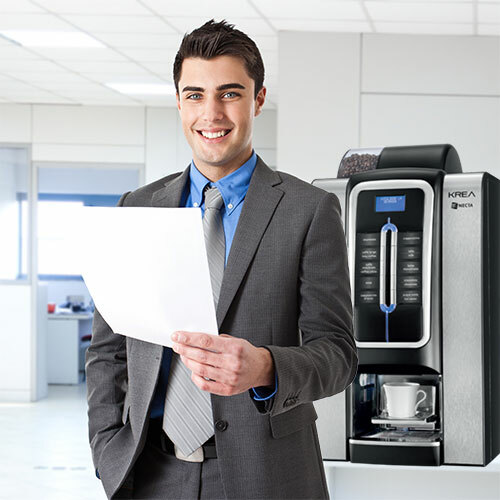 NVCS can supply, install, service and maintain an extensive range of professional office coffee and vending equipment to suit both small and large businesses. 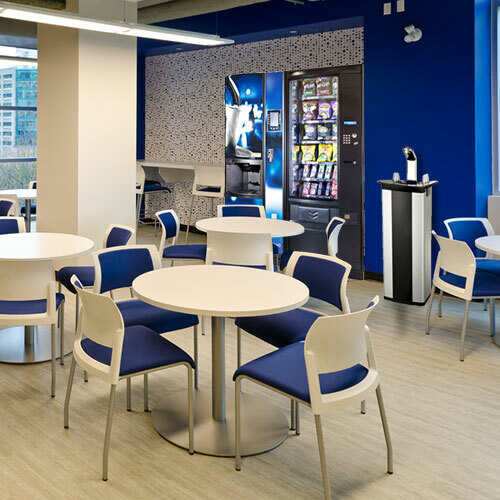 From compact high quality bean-to-cup machines offering continental style drinks to impress clients and customers, to floor-standing machines capable of providing high quality snacks and drinks to a large workforce. The standard of drinks dispensed from our vending machines is very high and comparable to high street coffee shops. This encourages staff to stay motivated, stay on the premises and improves company culture. Our latest vending initiative ‘Micro Market’ offers unattended retailing that can be set up in a dedicated refreshment area. This allows staff to browse and remove products from a shopping style arena and simply scan and go using security technology and unmanned payment. We appreciate that each factory and warehouse is different, but all require quality vending machines and back up service to meet the refreshment needs of workers. Our team of of qualified professionals at NVCS are ideally placed to provide the refreshment solution that works best your staff, visitors and layout of your premises. Our vending machines operate 24/7 and can offer hot and cold drinks, snacks, food and confectionery. Our popular food vendor combined with a microwave oven can even vend full plated meals than can be heated as required. Banks of vending machines also can be branded to match your own company logo and colours to ensure a constant look across the company. Our range of vending machines for business and industry are all easy to use and can offer alternative payment options.